Twenty years ago, the search for planets--and life--outside the solar system was a job restricted to science fiction writers. It is now one of the most rapidly growing fields in astronomy, with thousands of these "exoplanets" discovered so far. The detection of these worlds has only been possible in the last decade, with the number of discoveries increasing enormously over the last year following the findings of the Kepler Space Telescope. These new worlds are more alien than anything in fiction. Planets larger than Jupiter with years lasting one week, planets circling the dead remains of stars, others with two suns lighting their skies or with no sun at all. These locations hint at Earth-sized worlds but with split hemispheres of perpetual day and night, waterworlds drowning under global oceans, and volcanic lava planets spewing seas of magma. 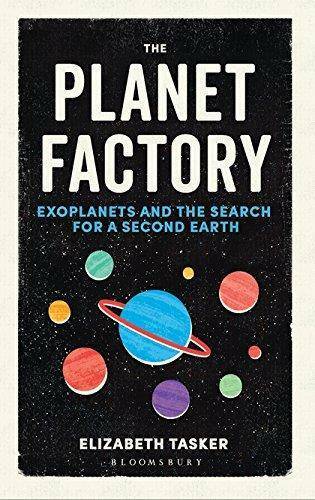 The Planet Factory tells the story of exoplanets, planets orbiting stars outside of our solar system. Discover the specks of dust that circle a young star come together in a violent building project that can form colossal worlds hundreds of times the size of the Earth; the changing orbits of young planets that risk dooming the life forming on neighboring worlds or, alternatively, that can deliver the key ingredients needed to seed its beginnings. Exoplanets are one of the greatest construction schemes in the universe and they occur around nearly every star you see. Each result is an alien landscape, but is it possible that one of these could be like our own home? The Planet Factory discusses the way these planets form, their structure and features, and describes in detail the detection techniques used (there are many) before looking at what we can learn about the surface environments and planetary atmospheres, and whether this hints at the tantalizing possibility of life. 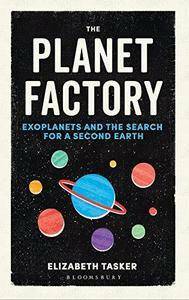 An informative and entertaining read, The Planet Factory takes the reader to the cutting edge of the ongoing search for worlds like our own, and the hints of life elsewhere in the cosmos.